New year games. Use these games for your team or home, party. For last year's words belong to last year's language And next year's words await another voice. And to make an end is to make a beginning. ~T.S. Eliot, "Little Gidding"
Ring in the New Year with printable trivia games! Great games for your New Year celebration! 2012 Goals ~ Starting to think about 2012 Goals? Clearly defined goals are key to success because without clear direction your dreams have no chance to become a reality. The Goals book and movie from Simple Truths is the perfect tool to provide the goal setting and achieving information you need in a straight forward and systematic manner. See sample content below to share this movie today! 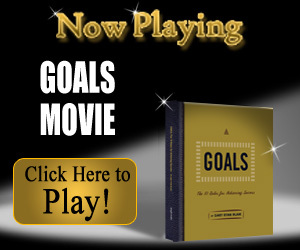 Learn more about goals, Embrace the ten rules of goal setting shared in the movie, Goals, The 10 Rules for Achieving Success and give witness to a powerful transition in your life. Take the necessary steps now to achieve your 2012 goals! The New Year welcomes renewed attitudes, hope and the opportunity for change. The Simple Truths movie and book, Change is Good...You Go First will help put into action the plans for change that include coming out of comfort zones in order to reach 2012 goals. See below and your affiliate link for the movie to help inspire others to embrace change! Looking at a brand new year with new goals can help revitalize your team’s attitudes and renew their energy. 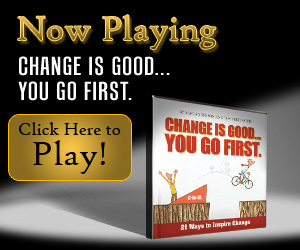 Build on their enthusiasm by sharing the movie “Change is Good…You Go First” to inspire them. You've probably heard the 3 keys to making money in real estate...location, location, location. I'll now share the 3 keys to managing your attitude...reinforce, reinforce, reinforce. What are some of the secrets to staying positive?